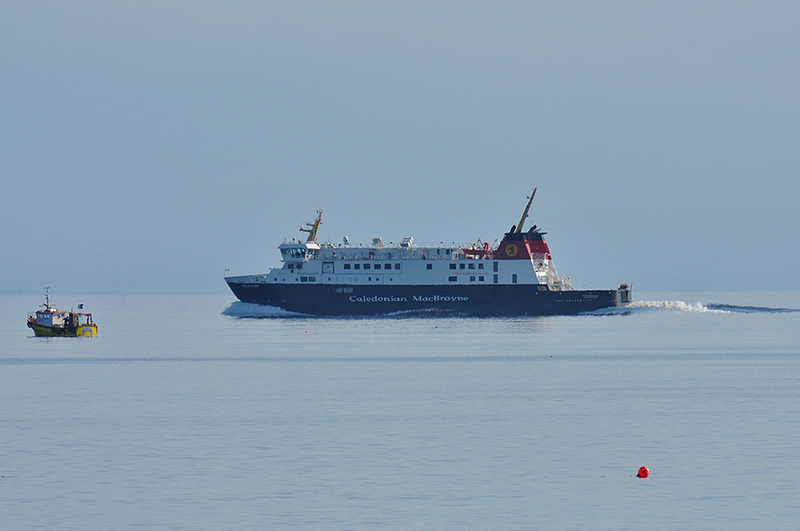 A view of Islay’s new ferry MV Finlaggan on her way from Port Ellen to Kennacraig in June 2013. Don’t see such calm seas very often. Taken from near Laphroaig. This entry was posted in New Post, Sunny Weather and tagged Fishing Boat, MV Finlaggan by Armin Grewe. Bookmark the permalink.